Look at that. A thing of beauty isn’t it. Phwoar. That is breakfast. That is the breakfast. That to me, is the meaning of life itself. Bacon, sausages, and all the trimmings. Don’t get me wrong. It could be better. Few hash browns, eggs, some black and white pudding, and call me weird, but I quite like some raw onions, chilies, and garlic on mine – but hey, that’s alright, we’re all different. There are few things in life I like more than a fry up. Perhaps just below a fry up on a list of things I love is waking up in the morning to the smell of cooking bacon wafting up the stairs. My mouth watering. But imagine if there wass no need to get up half an hour earlier to stick it all in the frying pan. Imagine a time where all of that could be done before you’ve even got into bed, meaning you merely have to just get up and your food is there. Well. Ladies and gentlemen. That time is now thanks to the genius Rose Bowler (or somebody at least that Rose knows who likes slow cookers). Wow! 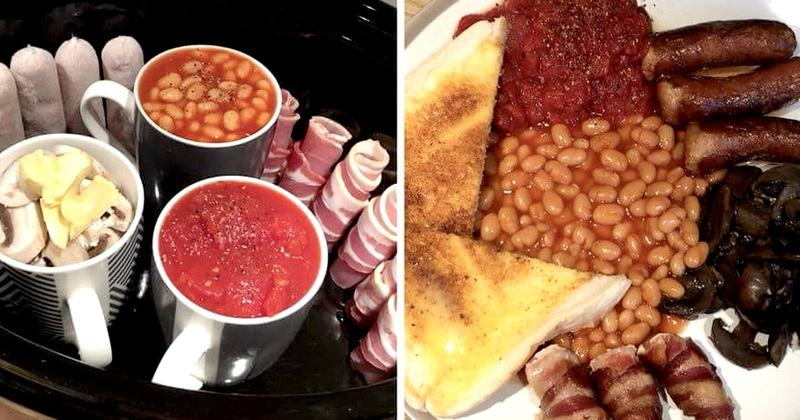 what an amazing idea someone has shared in the slow cooker group ? ?Make sure the meat is leant against the edge for it to brown ?I am definately going to try this ? It looks pretty damn good I must say! The post has since become the recipient of 8.7 thousand likes, 25,000 comments, and 27,000 shares at the time of writing. It’s easy to see why. However, aside from looking beyond tasty, the real beauty of this is that it takes away a lot of washing up from the mastering of a fry up. 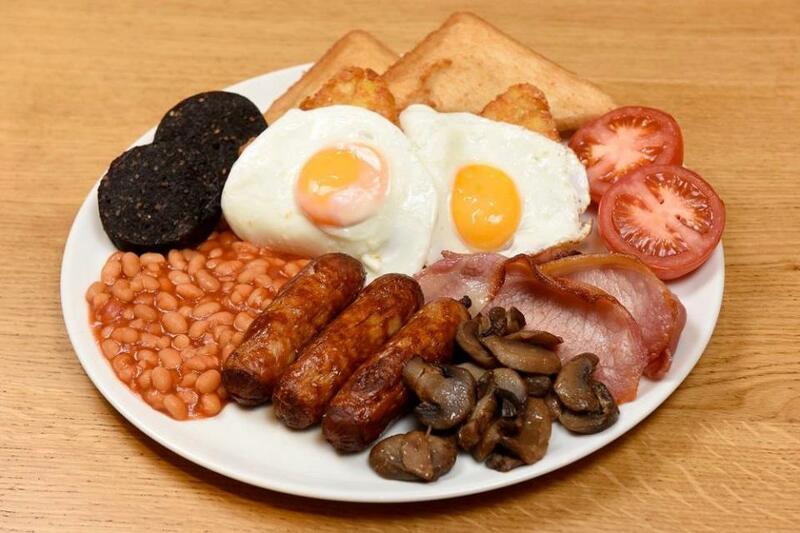 Bacon, sausage, eggs, beans, tomatoes, mushrooms, hash browns, black pudding, white pudding, toast. That’s a lot of different kitchen equipment. Frying pans, grilling trays, microwaveable dishes, you know what I’m talking about. I’m not suggesting this completely eradicates the washing up process but it definitely minimises it. Flipping ‘eck, now I sound like I’m reading a script on a teleshopping ad at 4:30am. Anyone else feeling hungry?! I know what I’m going to tackle tonight. Again. If you’ve already eaten then give this a watch. This’ll make sure you’re not getting too peckish after reading my words of gluttony.